Ever since the first time it was mentioned by Androidandme and shortly backed up by RadioAndroid, the whole Androidosphere has been abuzz with the next Google managed device for one simple reason: the Nexus One was and still remains the most open Android device on the market. Considering Google killed the crowd favorite earlier this year, any mention of a potential successor was capable of arousing geekdroids across the world even more than Gingerbread itself. The Nexus 2/S, this time built by Samsung instead of HTC, is, in everyone's eyes, a potential panacea for all the custom skin madness manufacturers and carriers are putting us through, causing countless upgrade delays, bugs, vomiting, and dramatic fainting. When the rumors dropped, one specific date was singled out as "special": November 8th, 2010. Incidentally, on this very date Samsung is hosting a press event, similar to the one they did for the Galaxy Tab and Galaxy S devices, except this time likely dedicated to the new Samsung Continuum. 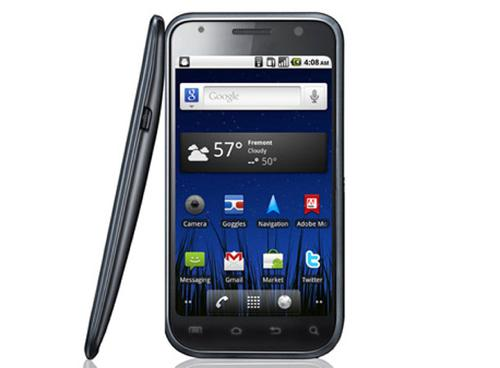 "Not so fast," said the rumor breeders - the Continuum was just a front for a surprise Nexus 2 unveiling. Ever since the Android population heard this, it has drunk so much Nexus 2 kool-aid that it was starting to gush out of its ears, posing serious danger to the vulnerable robotic bodies. TechCrunch to the rescue! Effectively killing the Nexus buzz we've been enjoying (the kool-aid was spiked, OK? ), they've dropped a big one - the Nexus 2 will not be announced on November 8th (or not even on November 11th, which is now the new rumored date for the Gingerbread SDK drop), but not because it's not real - on the contrary, they're confirming it very much is. Instead, a major hardware snag of an unknown nature interfered with the schedule and forced Samsung to push the unveiling to an also unknown future date. We're sad pandas. Again, there have been more rumors about this device than I am feeling comfortable with, so apply plenty of large-grained salt. However, if I had to pick a credible source out of everyone reporting on the Nexus 2 so far, I'd say TechCrunch would top the list. If we take their word for it, at least we now know that the glass is half full and the Nexus 2 is real. Hooray? Let the wait begin.